CHAPEL HILL, N.C. – The No. 27 Purdue baseball scored first but was limited to just four singles and couldn’t keep up with No. 21 Houston, as the Cougars put up nine unanswered runs to take the NCAA Regional matchup 9-1 Friday night. The Boilermakers (37-20) will play North Carolina A&T in an elimination game Saturday at 1 p.m. ET. Houston (37-23) squares off with No. 5 North Carolina on Saturday at 6 p.m. The loser of that game awaits the survivor of the Purdue-N.C. A&T matinee. American Athletic Conference Pitcher of the Year Aaron Fletcher pitched the first complete game against the Boilermakers this season. He was able to throw three different pitches for strikes throughout the night. The lefty said after the game he used his changeup more Friday than he had in any other start this season. Purdue only struck out twice against him, but Fletcher (7-3) had to face just 34 batters nonetheless. 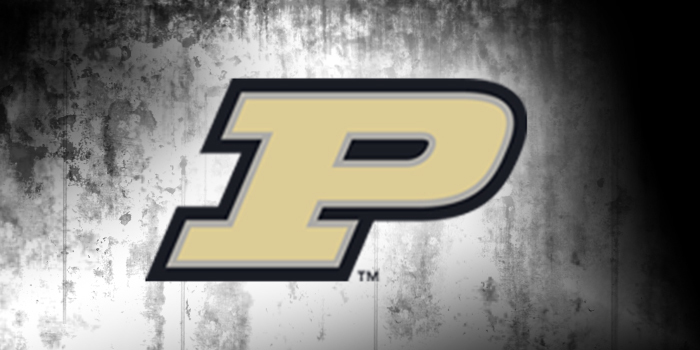 Purdue ace Tanner Andrews, the former three-sport star at Tippecanoe Valley High School, faced only nine batters over the first three innings and escaped a bases loaded jam in the top of the fourth for the Boilers. But six of the final eight batters he faced put together a productive plate appearance. A leadoff double in the fifth inning led to a pair of runs as UH took its first lead. The following frame, a leadoff walk and a two-run double forced the Boilermakers to go to the bullpen. Houston recorded 12 of its 15 hits from the fifth through ninth innings. The AAC champions scored multiple runs in three different frames during that stretch. The Cougars also impressed defensively, making three fine defensive plays. Center fielder Grayson Padgett robbed Nick Evants of a two-out double in the second inning, crashing into the wall in right center after making a running catch. Padgett also snared a sinking line drive off the bat of Alec Olund to end the game. Second baseman Connor Hollis kept an RBI single by Harry Shipley on the infield in the third inning. That sprawling stop behind the bag came with one out and runners at second and third. Olund scored the game’s first run, but Hollis cut down Evan Warden at the plate trying to score from second. Ben Nisle and Shipley both recorded a hit and a free pass, accounting for four of the Boilermakers’ eight base runners vs. Fletcher. They reached safely to begin the sixth and seventh innings, but Fletcher pitched over both free passes. The lefty kept Purdue from putting up a big inning by retiring No. 3 and 4 hitters Skyler Hunter and Jacson McGowan four times each. Hunter’s career-long 24-game reached base safely streak came to an end. Senior Andrews struck out Houston’s RBI leader Joe Davis with the bases loaded for the second out of the fourth inning. But Davis delivered when he faced Andrews for the third time two frames later, connecting for a two-run double to left center on a 2-2 pitch. Jared Triolo and Lael Lockhart reached base safely four times apiece while batting in front of Davis. Lockhart’s three-run homer in the top of the ninth blew the game open. Bo Hofstra worked two innings of scoreless relief, striking out the first two batters he faced. McGowan made a diving stop on an infield single to first base in the top of the seventh, helping Hofstra post another zero. Like Houston, North Carolina A&T is a first-time opponent for the Boilermakers. Every game of the Chapel Hill Regional is live on ESPN3, WatchESPN and the ESPN app.